Whats driving this project? Why does PortSide have this thing about the water? Here's an explanation of our motive in presenting history to learn about the past AND to aid planning in our neighborhood of Red Hook - and other NYC waterfronts. For real? What to believe? Whoa! 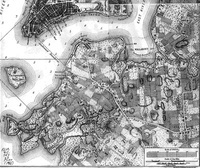 Some historic maps and illustrations show aspirations not reality; media then and now can make mistakes, planners and real estate developers can mispresent Red Hook. How Red Hook's topography evolves from Native American summer camp to Dutch mill ponds with oyster beds, then ports, warehouses and finally a street grid. Did you know that the 1840s development of Atlantic Dock jumpstarts a 100-year development boom? What follows is a century of teeming ports, factories, racing yachts, massive clusters of barges, floating pools, shanty towns, and row houses. Then comes the 1960s plummet, years of limbo, the 1992 nadir, and a rapid rebound in the 2000s. The hurricane Sandy of 2012 and mega developers describe the most recent years. This is an intro to the people story of Red Hook, to the parade of ethnic groups that lived and/or worked here roughly in the order of their arrival. Native American Lenape people enjoy Red Hook as a summer place from the 16th century. Dutch colonists arrive in the early 1600s and bring diverse nationalities, religions and races - and enslaved blacks. Port developments from around 1850 until the 1960s make Red Hook a major port of call to ships from all over the world, which bring a changing rainbow of people who live and work here. We will explore this topic more in future updates and select individual people to research in depth. 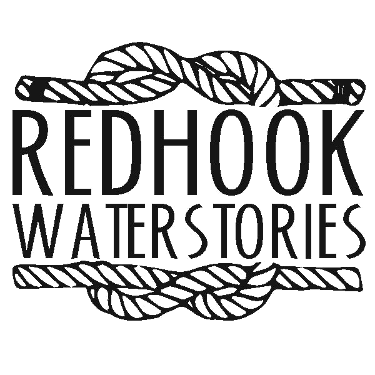 This Red Hook WaterStories 1.0 illuminates major trends, forces and issues in the demographic changes that define this neighborhood. Shantytowns are a feature of 19th century Brooklyn and New York City. They were the low-income housing of the day, often for newly arrived immigrants. In Red Hook, the presence of shantytowns is directly related to the waterfront (eg, low-lying, often-flooded land was not prime development land). Shantytown dwellers are not the same as squatters (people occupying real estate without permission) since 19th century shantytown residents usually paid ground rent to the property owner and usually built their own shelters. Shantytowns of that era are built on open land before development. "Hoovervilles" are shantytowns of the Great Depression, named in reference to President Hoover; those shantytowns were often squatter camps. Blacks were one of the first groups to arrive in Brooklyn during the Dutch colonial period, usually as slaves, though there were also freemen. To provide an overview of some early black history, PortSide commissioned this article by Charles Foy about the experience of blacks on the waterfront during the American Revolution. Those blacks lived a parallel, inverted experience from the usual story: their opportunity to obtain freedom often came from working for the British Navy as seamen. For those blacks, the door to freedom was firmly shut after the Revolution ended. A pivotal event in the ending of slavery occurred on December 5, 1860, in Atlantic Basin, Red Hook when the slave ship ERIE was sold at government auction. Its captain and owner, Nathaniel Gordon, was then executed for engaging in the slave trade. President Abraham Lincoln himself made sure that an example was made of Captain Gordon and his ship ERIE. This is an important event in African American history. From the early 1600s until the 1830s, near the current Van Brunt, Van Dyke and Coffey Streets, stood the Van Dyke "ginger mill." Spices were important in early American cooking. Their generous use was a demonstration of wealth and sophistication, not just a way, as some people argue, to mask the flavor of foods that had gone bad. PortSide will be researching whether the back building behind the store Wooden Sleepers is part of that original mill complex. Old-timers have said it is part of the original Van Dyke farm. 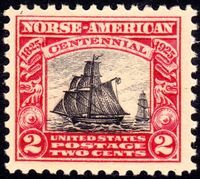 Norwegians, being master mariners, arrived in New Amsterdam on ships in the early 1600s. 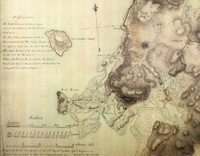 In the 1820s and 30s, they began emigrating in groups and rapidly established a "Koloni" in Red Hook. They were ministered by a floating church, then a church on Pioneer Street that still stands. They became a major presence on boats working New York harbor, including PortSide's MARY A. WHALEN. World-renowned sailors, aid organizations, shelters, and the wretched Orkenen Sur shantytown are part of their Red Hook story. History of Ira Bushey and Sons, Inc. The tanker MARY A. Whalen, homeship of PortSide NewYork was built for Ira S. Bushey. Ira S. Bushey started his work life driving mules on the Erie Canal in the latter half of the Nineteenth Century. After trying various jobs he returned to the family mariner tradition and by 1895 Bushey was repairing wooden boats. Adept at his trade he quickly grew his business, finally establishing a Brooklyn shipyard in 1905. His yard was located at the foot of Court Street, on the Gowanus Creek. When his oldest son was only 15, he incorporated his business as Ira Bushey & Sons, and the company lasted for three generations, closing in the 1980s. "Bushey's" is nationally significant as a leader in innovative shipbuilding techniques and old timers in New York harbor still reminisce fondly about the company and their seaworthy boats. Bushey expanded his business to include boat building, initially barges and later tugs and tankers too. Instead of just selling their tankers, Bushey entered the oil storage and delivery business. In 1977, Ira Bushey & Sons sold the company to Amerada Hess.